From the valleys to the peaks, look to BerryDunn for expert advice. Located in the largest city in New Hampshire, the Manchester office is strategically positioned for easy access to clients throughout New England. Our Manchester team is dedicated to providing you with the most up-to-date accounting, tax, and consulting expertise, drawing from years of experience and a wealth of industry knowledge. Surrounded by the natural beauty of this state's many mountain ranges, rivers, lakes, and shores, the Manchester team prides itself on environmental stewardship and community service. 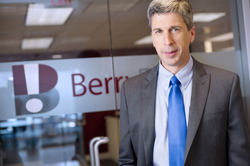 Just one more way BerryDunn puts clients' needs and community first. From I-93 North, merge onto I-293 North via the exit on the left towards the Manchester Boston Regional Airport. Take Exit 5 for Granite Street off I-293 North. At the end of the exit ramp, take a right onto Granite Street. Turn left onto Canal Street at the 2nd light. Turn right onto Mechanic Street, and then take your first left onto Plaza Street. The entrance to the Plaza Street Garage will be on your left. Take stairs or elevator to Level 3 and walk East across connector to the Brady Sullivan Plaza Entrance. After you pass the U.S. Post Office (on your left) take a left, then a right. Go past the glass doors towards Security to get to the elevators. BerryDunn is located on the 4th floor. From I-93 South, take the I-293 South/Everett Turnpike towards the Manchester Boston Regional Airport. Take Exit 6 toward Amoskeag Street/Goffstown Road. At the end of the exit ramp, keep right to take the Amoskeag Street ramp toward UNH Manchester/Goffstown Road/Canal Street/Elm Street. Take a right onto Amoskeag Street. At the end of the bridge, veer to the right to turn onto Canal Street. Turn left onto Spring Street, and then take your first right onto Plaza Street. The entrance to the Plaza Street Garage will be on your right. Take stairs or elevator to Level 3 and walk East across connector to the Brady Sullivan Plaza Entrance. After you pass the U.S. Post Office (on your left) take a left, then a right. Go past the glass doors towards Security to get to the elevators. BerryDunn is located on the 4th floor. Take Route 95 to NH101 West toward Manchester. Continue for approximately 33 miles on NH101 West. Merge onto I-193 North via Exit 7 towards the Manchester Boston Regional Airport. Take Exit 5 for Granite Street off I-293 North. At the end of the exit ramp, take a right onto Granite Street. Turn left onto Canal Street at the 2nd light. Turn right onto Mechanic Street, and then take your first left onto Plaza Street. The entrance to the Plaza Street Garage will be on your left. Take stairs or elevator to Level 3 and walk East across connector to the Brady Sullivan Plaza Entrance. After you pass the U.S. Post Office (on your left) take a left, then a right. Go past the glass doors towards Security to get to the elevators. BerryDunn is located on the 4th floor. The Brady Sullivan Plaza parking garage is located at 2 Plaza Drive. Park on any of the five levels.